A world-wide search for premium ingredients brought Hakubaku Japan to Australia's fertile lands. 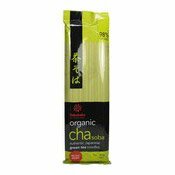 They found the finest organic wheat for authentic Japanese noodles - a traditional favourite. Ballarat, Victoria has become the Australian home for Hakubaku. We trust you will enjoy this quality product. Ingredients: Wheat Flour (69%), Buckwheat Flour (29%), Salt (2%), Water. 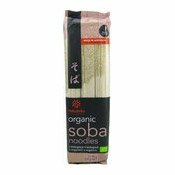 Simply enter your details below and we will send you an e-mail when “Organic Soba Noodles (有機日本蕎麥麵)” is back in stock!